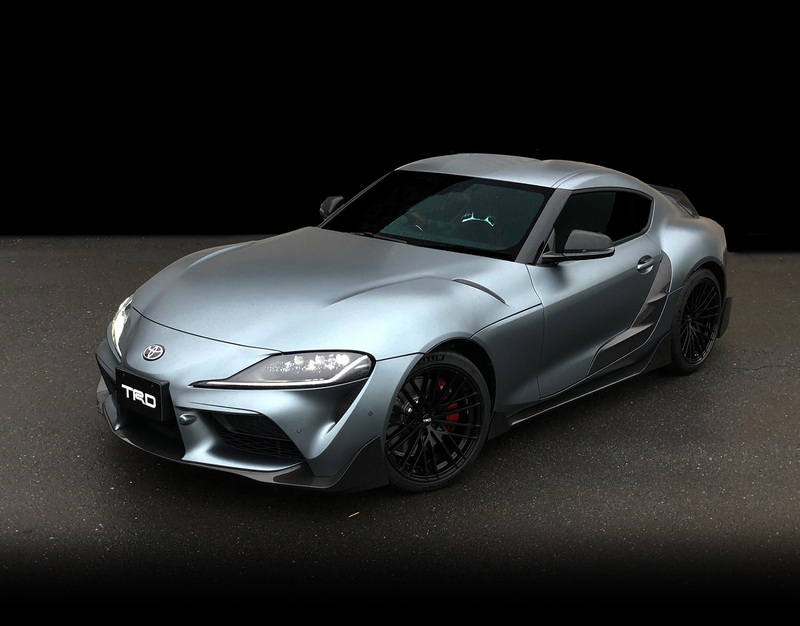 Unveiled this past weekend at Japan's Osaka Auto Messe—think SEMA but Japanese—was a 2020 Toyota Supra fettled by Toyota Racing Development. The TRD Performance Line Concept is finished in semi-gloss gray, gets a set of new 19-inch forged aluminum wheels, and was seemingly made for those with a carbon fiber fetish. The front splitter, side skirt, door trim, rear lip spoiler, rear seats, and approximately one-sixth of each door are made of the woven black stuff. Presumably, the aerodynamic add-ons increase the Supra's downforce, high-speed stability, and make it feel, dare we say, more grounded to the ground. Unfortunately, that's pretty much where the TRD-tuned Supra's enhancements end. No power boosts were given to the car's BMW-sourced turbo straight-six. The suspension and brakes, as far as we can tell, are stock. 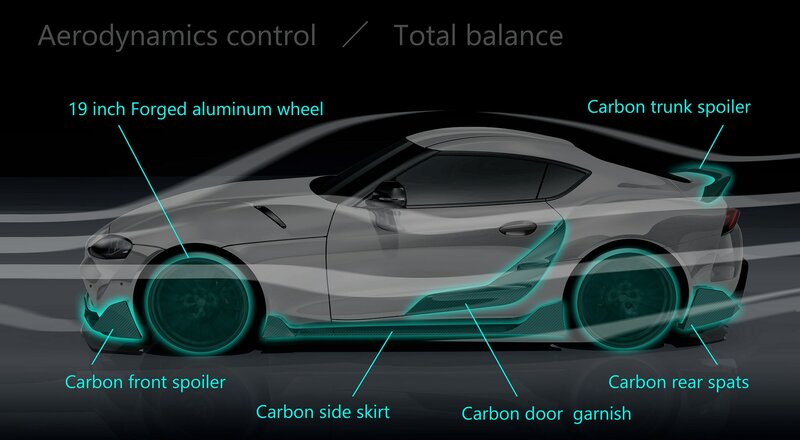 If anything, the aero bits have likely added to the Supra's 3,397-pound curb weight. 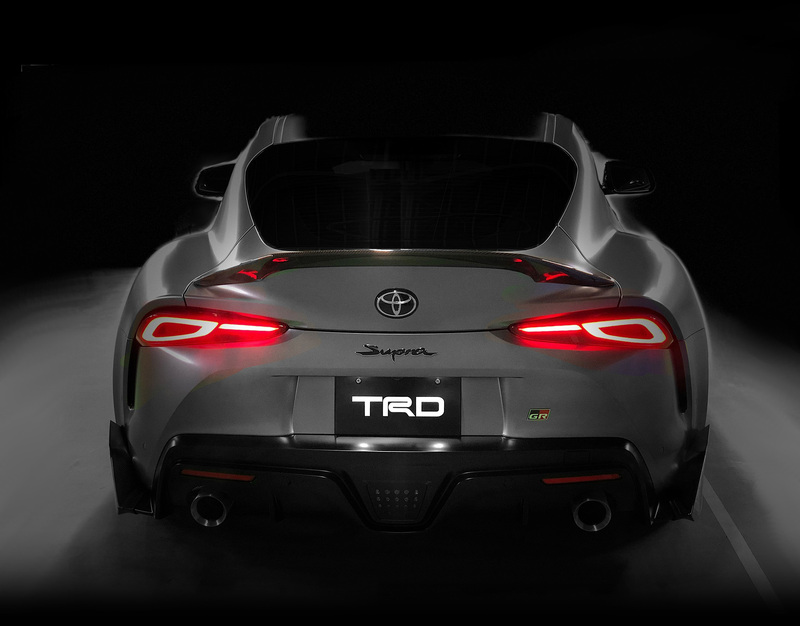 That being said, the bottom of TRD's site for this car reads "To Be Continued" so the Toyota tuning arm probably isn't done tinkering with the A90 Supra just yet. In other words, this ain't even its final form. The 2020 Toyota GR Supra produces 335 horsepower and 365 pound-feet of torque, and shares a platform with BMW's new Z4. Zero to 60 is dealt with in 4.1 seconds. Given this car's Fast & Furious-fuelled cult following, we have a hunch this particular vehicle is only the beginning of tuned-MkV-Supra-dom. It may not change how you feel about the revolutionary hybrid, but there's no denying it looks a lot better. 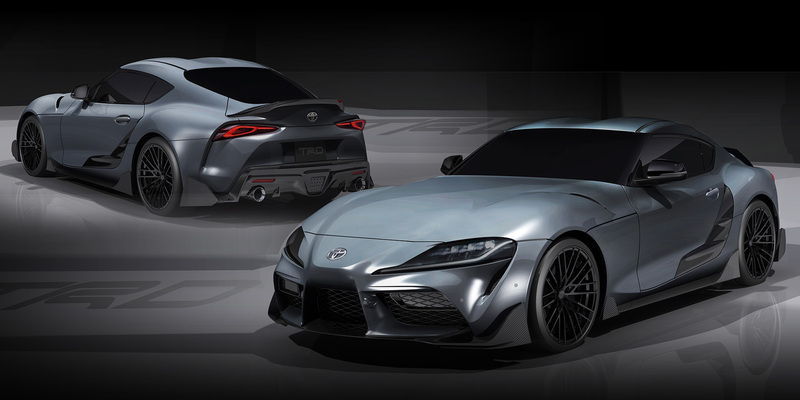 If they're anything like what we've seen recently from TRD, another Toyota heyday may be on the way.